The Pennsylvania Liquor Control Board has won our second annual Control State Best Practices Awards. 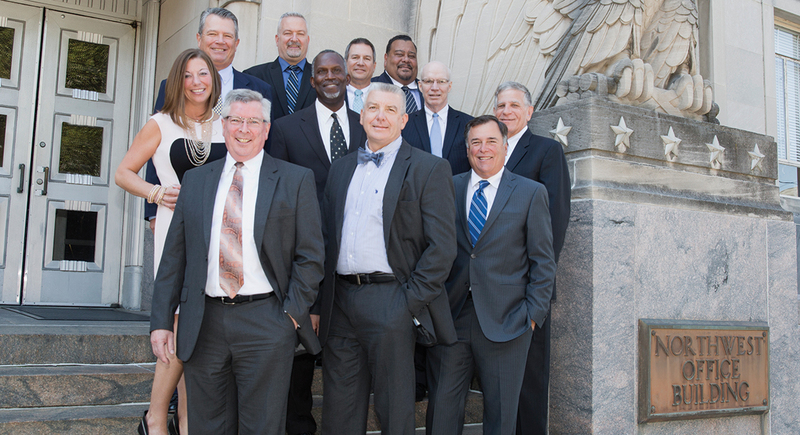 StateWays honors the PLCB for leading the industry in innovation, education and enforcement. All beverage control agencies in the U.S. and Canada were eligible to enter these awards. The winners, overall and of the other categories, represent the best of beverage alcohol control, which is especially important in today’s political and economic climate. Winning agencies not only support their jurisdictions with tax revenue, they’re making a difference in their communities through education, sales and service regulation, enforcement and with assisting private businesses with efficient distribution. The changes keep coming fast and furiously in Pennsylvania, where political trends, technological evolution and consumer habits combine to drive forward one of the most important control state markets. And the response from the Pennsylvania Liquor Control Board to the shifting environment has been impressive, so much so that the agency took home this year’s overall Control State Best Practices Award. The most obvious innovation has been the process of rebranding many of the state stores. Thirty-five of the rebranded outlets opened during fiscal year 2015-16, bringing the total to 135 rebranded units, with 45 coming up within the current fiscal year. 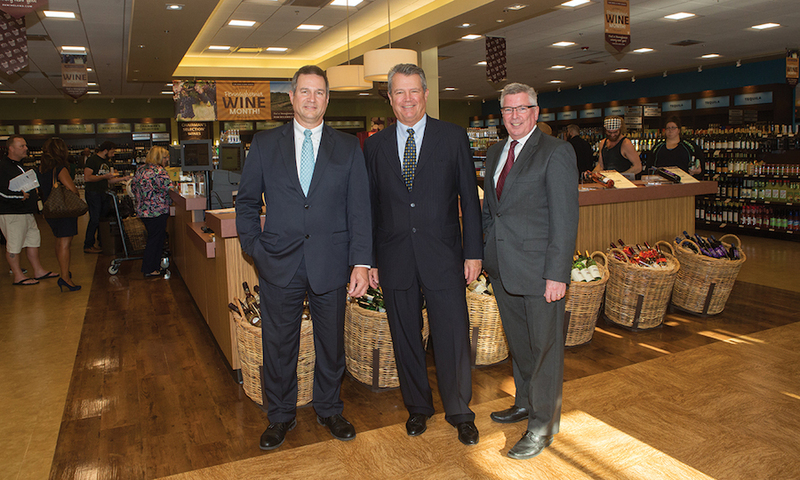 “Rebranding well over 100 of our stores gives a whole new and great shopping experience to the consumer,” Holden says. 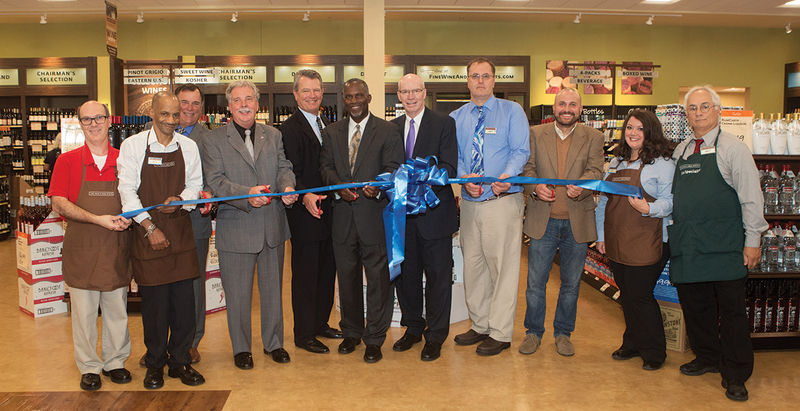 As an example, the PLCB closed an existing store and opened a new Fine Wine & Good Spirits Premium Collection Store in Homestead, Allegheny County, in August 2015. “We had a very antiquated store downtown and relocated in what would be considered Pittsburgh’s most commercialized retail center, which was an opportunity to get next to a Giant Eagle supermarket, a Costco and other stores,” Mooney says. Sales at the new premium store were up almost 221 percent over those at the old standard store during the same time period (August 2015 to March 2016 versus August 2014 to March 2015). While two other stores nearby the Waterfront store experienced decreases after the new store opened, another saw sales increase, and the regional market together grew 34.3 percent. Notes current Director of Marketing and Merchandising Dale Horst, during the last five years, the PLCB stores’ overall sales growth has been between 3.5 and 5 percent, at a time when the state’s population is stagnant. Another winning example of the PLCB evolution is the result from its work on supply issues. 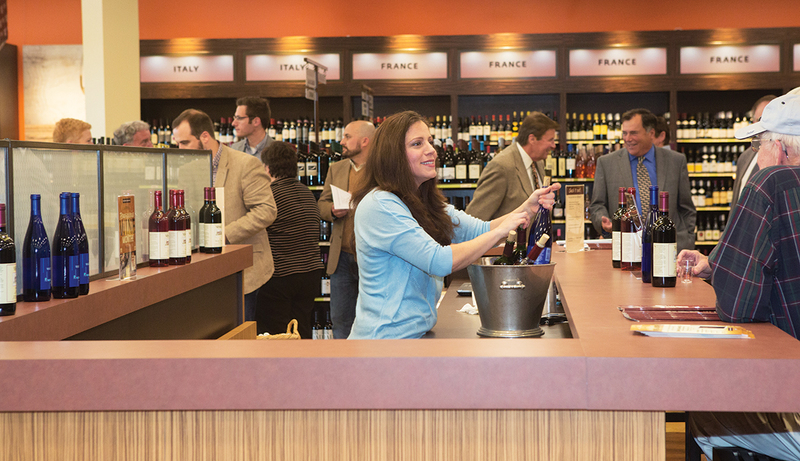 The Office of Supply Chain spent much of the year developing and refining LOOP – the new Licensee Online Order Portal, an Internet-based system that allows 15,000 retail licensees to order wine and spirits at any time from home or office. LOOP brings a new level of functionality and convenience to retail liquor licensees in the state, replacing an archaic ordering system, which relied on telephone and fax, with a web-based portal offering 24/7 access. Designed to be an Amazon-like easy shopping experience, LOOP gives licensees visibility into product availability, sales and promotions so they can more easily plan purchases around discounts. Additionally, LOOP offers customizable tools and reports that can help licensees manage their business, with every order tracked via email. “When we envisioned this new way of entering orders, we said internally we wanted this to be intuitive and easy,” says CIO Nick Melnick. “Today the rate of increase is on a steady upward ascent – orders, dollars, cases, all measurements – which is precisely what we hoped for.” With so many licensees, it will take some time to get all on board, but 1,000 were using the program by late summer. How successful is LOOP? Between July 2015 and June 2016, licensees placed nearly 20,000 orders totaling $21.4 million. The number of licensees using the system grew 267 percent, while the number of orders grew nearly 300 percent. Getting help from licensees was crucial, as the PLCB was replacing a system renowned for its complicated nature – the user manual was 32 pages, for instance, and fewer than 100 licensees employed it. LOOP also offers additional convenience to higher-volume licensees through direct delivery. Before implementation, the state shipped to retail outlets or service centers, where licensees picked up their orders. “It was a layer of complexity without value,” Zearfoss says. Finally, LOOP positioned the PLCB to be ready for state-approved grocery wine sales. “It would have been a tremendous burden if we didn’t have a streamlined process in place as hundreds of grocery stores come online,” says Elizabeth Brassell, director of communications. (Grocers began selling wine in the state in August). While LOOP was designed to ease ordering, PLCB+ came online as a way for the Office of Regulatory Affairs to modernize its licensing operations. Another 24/7 online platform, PLCB+, made licensing and permitting secure, quick and simple over the Internet, replacing multiple systems and converting nearly 70 paper processes into electronic submissions. The system aims to reduce processing time and provide enhanced customer service through its 24/7 access and real-time status updates. PLCB+ also provides online submission for applications on tavern gaming license, extending an establishment’s size, change of officer and special permits for wine auctions and non-profit special occasions. “From a business perspective, we wanted a system not only efficient and user-friendly, but also wanted from a management perspective to reduce resources,” Melnick says. The state chose the Computronix Posse work management software for the site. The challenge was pulling data from a number of disparate systems so they could all be made part of the new system, says Melnick, making cleaning and validating existing data crucial to the PLCB+ success. Now all aspects have entered the 21st century: the first phase of PLCB+ implementation last year transitioned the agency’s brand registration process onto the platform for malt and brewed beverages. Like many states, Pennsylvania has experienced the American whiskey boom, but with a limited supply of rare products like Pappy Van Winkle, it was swamped with both in- and out-of-state buyers. In an effort to more equitably distribute these limited-quantity releases products, the PLCB debuted its first Limited-Release Lottery in October 2015. The PLCB held four Limited-Release Lotteries in 2015, awarding 2,253 bottles of Buffalo Trace, Four Roses and Pappy Van Winkle whiskies, and drawing more than 95,000 entries. “We had sold many of these items through the store network, and about five years back started doing so through our online store. We had some real issues with the number of people flooding our systems and website,” says Director of Marketing and Merchandising Dale Horst. “We also found that many of the buyers were coming from out of state.” That’s not surprising: under the state’s pricing controls, they were selling Pappy at around $250 while other states were marking bottles up to $1,200. Instead, the PLCB built a system designed to favor in-state customers. Licensees received a 25% allocation, with the rest available for registered buyers with verifiable Pennsylvania addresses. In the lottery, computer-driven random generators pull up customer numbers. Customer data, including billing and shipping addresses, is screened prior to drawings. Duplicate entries, out-of-state addresses and revoked or cancelled licensees are removed. In any lottery where more than one product is offered, entry data removes winners of each drawing for each subsequent drawing. Its reputation has spread far and wide, according to Brassell, who notes even those out-of-state buyers who once gamed the system have praised its fairness and security. As Chairman Holden points out, responsible consumption is a major task for the PLCB. Last holiday season, the PLCB led a partnership with the State Police and the Pennsylvania Department of Transportation to promote the SaferRide app, which was developed by the National Highway Traffic Safety Administration and is free to download and facilitate a safe ride home after drinking. The PLCB’s staff had an ally in state senator Stewart Greenleaf, who has pushed for many years in the PLCB’s appropriation hearings about responsibility. New initiatives were always problematic due to the cost of serving more than 16,000 licensees, says director of regulatory affairs Jerry Waters. The PLCB spread the word on its websites, at stores, at licensed locations and through social media. Printed materials were distributed for stores, and posters provided to bars, restaurants, hotels and taverns. Posters and bag stuffers featured a QR code that customers could scan using smartphones for direct access to a PLCB website featuring information about the app. The PLCB also made a toolkit of promotional materials available on its website, including social media ads and web banners. 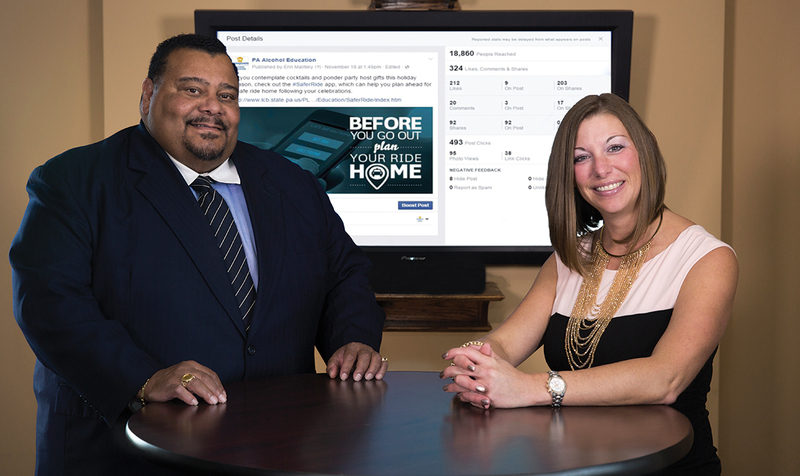 In addition to increasing awareness of the SaferRide app, the SaferRide campaign also drew the most activity to the PLCB’s alcohol education Facebook page and allowed users to make valuable connections through other state agencies. Posts reached a combined 78,000 people, and according to NHTSA, the campaign accounted for nearly half the app’s downloads since its introduction. Pictured atop: Front to back: Chief Operating Officer Charlie Mooney, Chief Information Officer Nick Melnick, Board Member Mike Negra; Communications Director Elizabeth Brassell, Executive Director John Metzger, Director of Retail Operations Carl Jolly, Board Member Michael Newsome, Director of Marketing and Merchandising Dale Horst, Director of Regulatory Affairs Jerry Waters, Board Chairman Tim Holden, Director of Supply Chain Glenn Zearfoss.